If you don’t know what service is right for you. We can help you decide with a consultation. Short Haircut 45+ Pixie length, men’s short hair or very fine hair. Comes with Freebird style. Long Haircut 65+ Longer than pixie, men’s long hair and normal to thick hair. Comes with Freebird style. Reinventing Haircut +75 Any big change or extremely thick hair. Comes with Freebird style. Curly or Deva Haircut 85+ Deva techniques for curly hair will be styled with natural texture. Please come with hair freshly styled and down. Cut will be done on dry hair. Bang Trim or Neck Cleanup 15 We offer 1 complementary clean up in between cuts. 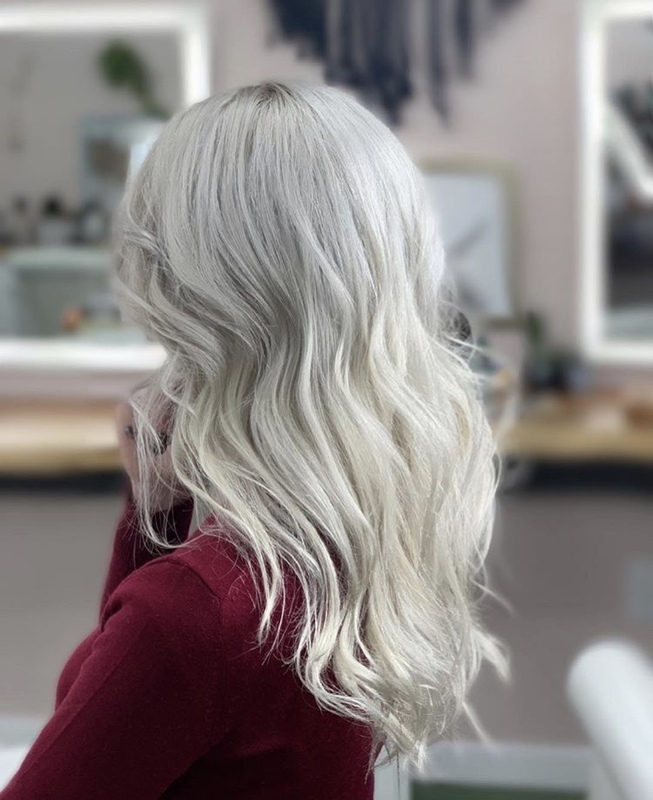 All of our lightening services come with bond-builder such as Wellaplex or Olaplex and a gloss. Balayage 195+ Half Balayage 175+ Sun kissed look hand painted highlights usually 1-2 levels of lift. Can add in foil for Foliyage 25+ to give more of a intense lift or to breakthrough color. Freebird Full Foil 185+ Half Foil 150+ The foil keeps the lightener from getting on the surrounding hair, and also traps heat, allowing the lightener to lift more effectively. If you want to cover grey hair, add some shine and tone to your hair or do something vibrant. We have a solution for you. Root Touchup 80+ Covering grey hair or touching up outgrowth that is not highlights. Allover Color 100+ Want a seamless transition from roots to ends. Allover color can lighten natural hair color or add depth and dimension to colored hair. Gloss 75+ with other service 25+ Need to refresh your color or highlights a gloss is right for you. Add tone and shine you hair.